Most of you know about The Insight, my podcast with Spencer Wells. Some of you may not know about the BrownCast, associated with the Brown Pundits. I’m on about two out of every three podcasts, but it’s a group effort. We cover a diverse array of topics. The latest episode was a conversation between myself and Carl Zha, and we talked about Chinese colonialism (or lack thereof), casual racism among Asians, religion, and what American publications cover China well. Because editing and hosting the podcasts cost some money, we set up a Patreon page. One podcast that I recorded this weekend has already been posted there for “patrons”, involves discussion with a Hindu nationalist about their viewpoints. We didn’t resolve anything, but it was nice to get to the point of understanding the sort of questions that need to be asked in the first place! That cast will probably drop by the end of this week. In the near future, I will be having a chat with Zack Stentz. Though most of you might think “oh, he was involved in the screenplay for X-Men: First Class,” I’m more excited about the fact that he was involved in Andromeda! The influence of gender stereotype threat on mathematics test scores of Dutch high school students: a registered report. Compound-specific radiocarbon dating and mitochondrial DNA analysis of the Pleistocene hominin from Salkhit Mongolia. Mysterious human relatives moved into ‘penthouse’ Siberian cave 100,000 years earlier than thought. Neanderthal introgression reintroduced functional alleles lost in the human out of Africa bottleneck. 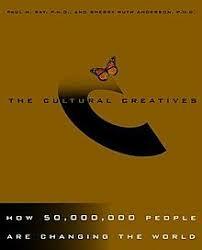 Many years ago I read the book The Cultural Creatives. 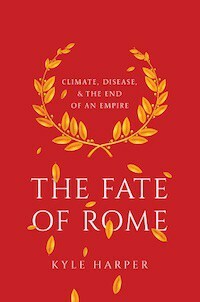 One aspect of the book was how old people have a lot of information and knowledge that Western cultures ignored. I thought it was funny at the time. But perhaps because I’m getting older…I appreciate it more. I think part of it is the fact that so many older scientists are now dying who are taking with them a lot of knowledge. Speaking of old scientists, Robert Trivers’ Twitter account is lit. I predict that by next weekend it will become clear that what we were told happened to Jussie Smollett is not what happened. The press won’t care, and neither will the politicians. 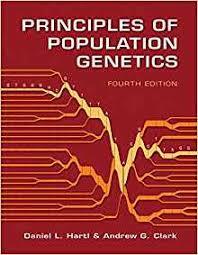 Razib, this is a foundation reference for West Eurasian genetics. Current ancient genomes are able to pretty much fully explain the Epipaleolithic ancestry of the Middle East & Europe. There’s no room for mystery. 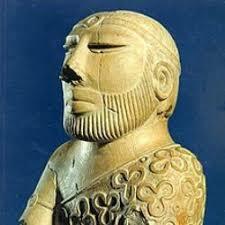 When new ancient South Asian genomes are published it’ll be possible to include South Asia in the spreadsheet. Second link “Ancient human genome-wide data from a 3000-year interval in the Caucasus corresponds with eco-geographic regions.” actually points to a bioarxiv on malaria susceptibility. The first link has been (unfavourably) reviewed by Davidski at Eurogenes blog. I am not competent to evaluate the paper or its review, but Davidski has been solid on IE origins elsewhere. I am not competent to evaluate the paper or its review, but Davidski has been solid on IE origins elsewhere. I don’t think Davidski is infallible necessarily, but I’ve also found him to be pretty prescient on this stuff. Really Razib? You do realize that those names connote feces? Is this some kind of bathroom humor I’m not getting? How about the “Indu Pundits”, “Indus Stream” or the “Real Aryans”? If you insist on a skin color reference, then how about “Melanin Men”? i do like real aryans! rommie was the computer in andromeda. You do realize that those names connote feces? Steve Sailer keeps describing the Yamnaya as blue-eyed, blond-haired, Arnold Schwarzenegger-looking “Aryans.” Surely he knows better. Is he just trolling or pandering to the alt-right portion of his audience? Trump received a lower percentage of white votes and higher percentages of black, Hispanic, and Asian votes than Romney, a liberal a Republican did. The real difference was where Trump got white votes – in the Midwest. It’s Reagan Democrats all over again.